Always brush your teeth thoroughly prior to inserting the therapeutic appliance. 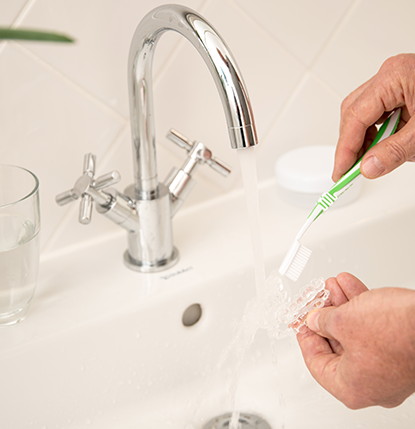 Clean the therapeutic appliance thoroughly every morning after taking it out using a soft toothbrush under warm running water. You should use this soft toothbrush exclusively to clean your OPTISLEEP. After cleaning the OPTISLEEP therapeutic appliance, always store dry and at room temperature in its storage container. Do not allow the therapeutic appliance be exposed to direct sunlight and heat. 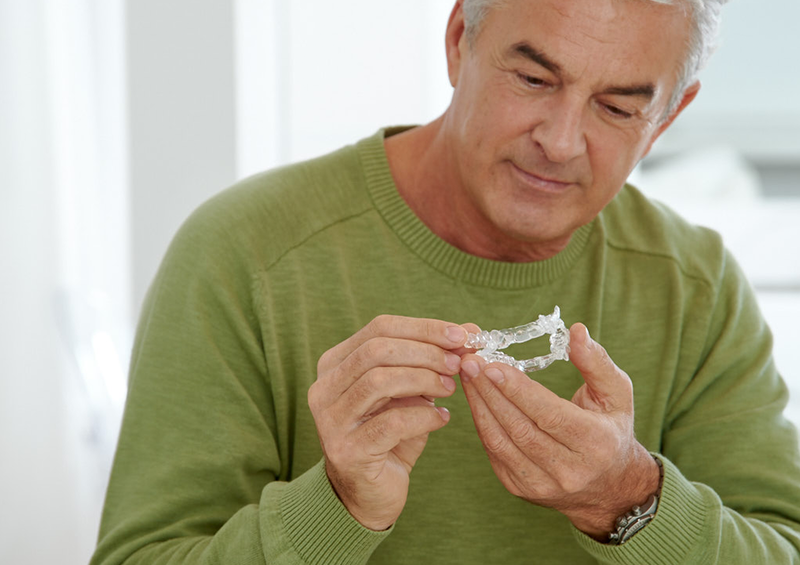 Remove the therapeutic appliance before eating or drinking in order to avoid damages to the appliance. Do not use prostheses cleaner which contain oxygen as they could permanently damage your appliance. Do not use hot water or toothpaste as this could also damage your appliance. 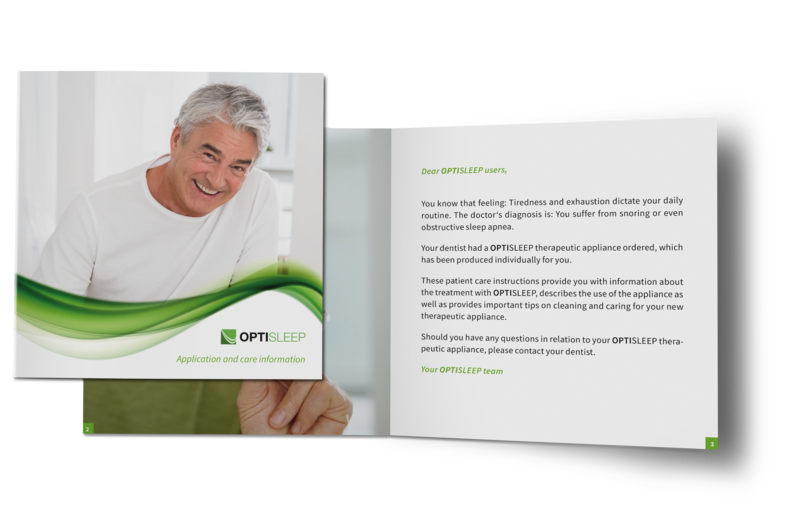 Your individual OPTISLEEP appliance will be given to you by your dentist in a storage container. 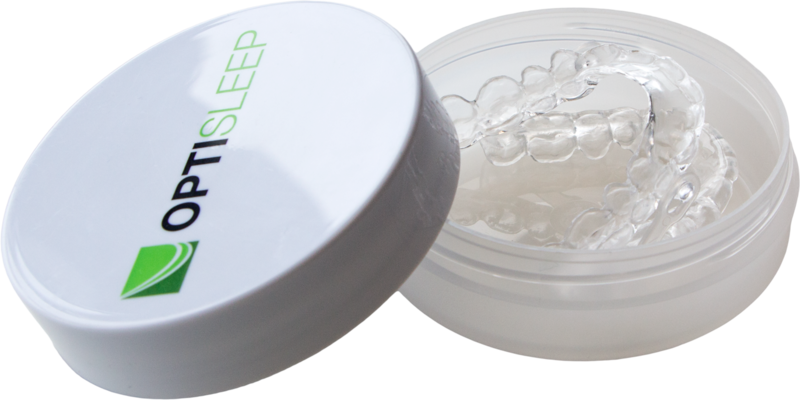 Always store your OPTISLEEP clean and dry following each use in the storage container.